On the coastal areas only a few places suitable for spawning produce the majority of the fish populations. When the fish have passed the larval stage they distribute on a wider area for feeding and growth. The success of spawning and size of year class (meaning fish that survive every year) define the size of the fish population. For spring spawning fish such as pike and perch fast warming coastal bays, flads and river estuaries are essential spawning sites. 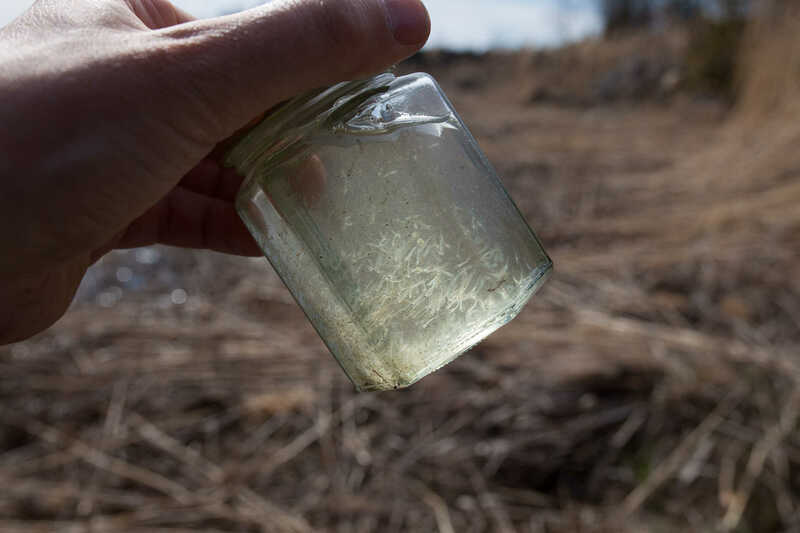 The vegetation in them protects fish eggs and larvae and the higher water temperature than in other areas as well as plankton suitable for feeding enables a fast growth. 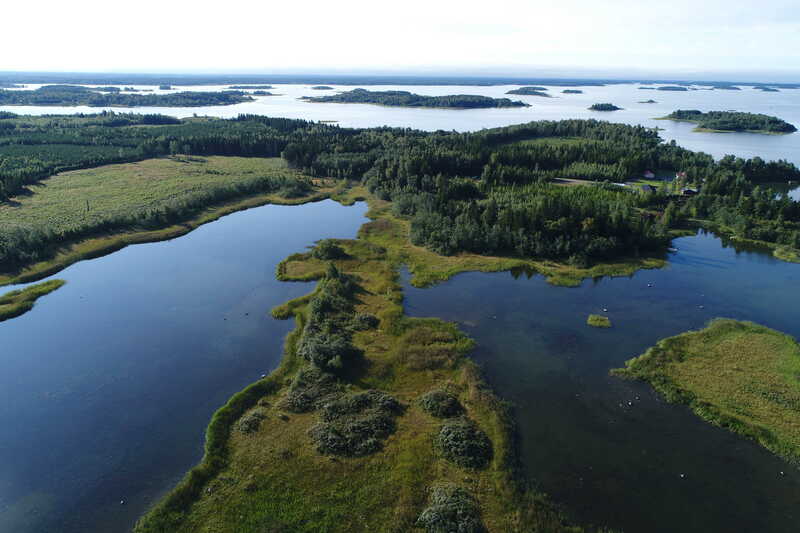 The Kvarken region has far more flads and coastal bays compared to the rest on the Finnish and Swedish coastal areas. It is important for the fisheries, especially for fishing of perch. Though the amount of flads is high and the significance for the economy is great their features are poorly defined - what type of flad produces pike and perch larvae and how should larvae production be taken in consideration in for example marine spatial planning? 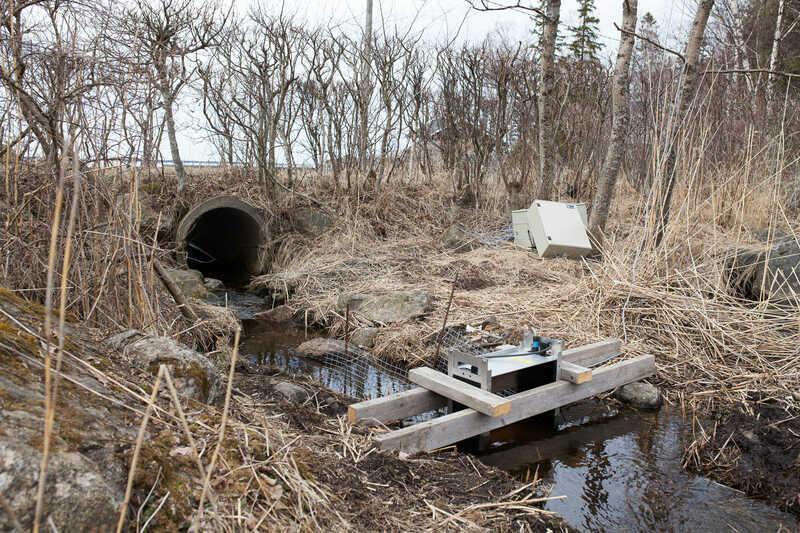 In the Kvarken region especially land uplift and human induced changes, such as removing vegetation and opening the mouths of flads and bays for boat traffic, might have reduced suitable juvenile habitats or change the water flow- and temperature circumstances fundamentally. That is why it is important to know how changes impact fish production and do they later reflect on the amount of fish in near areas. The reproduction of fish in flads and river estuaries are studied by pike and perch larvae surveys. In shallow waters these species occur in different environments. For larval pike, depths of 20cm with reed that has fallen during winter or other vegetation is the preferable habitat. Newly hatched perch disperses in the open waters to feed on animal plankton. That is why different species require different methods when being caught. 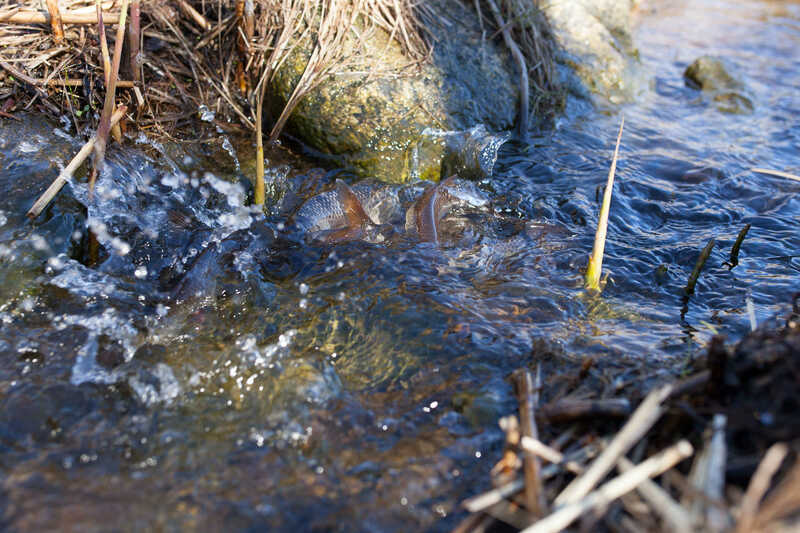 Pike that lure among vegetation are caught with a special dip net modified for this study. The amount and occurrence of perch larvae are estimated with a tow net. On larger areas the occurrence has been estimated by a tow net that is pulled behind a boat on 500 m long lines on the sampling area. The amount if fish is the largest in the spring when the fish are newly hatched which is why they are being caught at that time. In a typical survey the size of the perch is 5-10 mm and pike 9-20 mm. 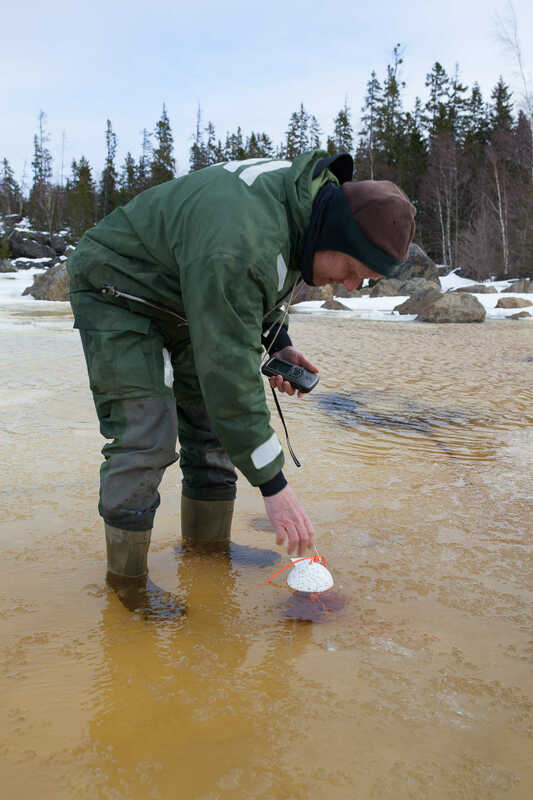 During the survey also environmental data has been collected. The temperature in the flads and outside of them was monitored during 2017 with temperature loggers that collect data every second hour. Insects and migrating bats were investigated. 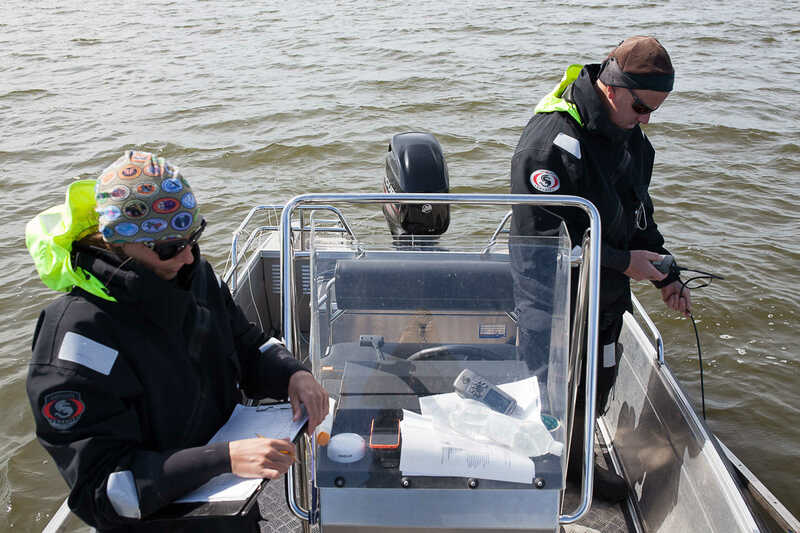 Also vegetation was surveyed and water temperature, pH, salinity and oxygen were measured. With the help of this background information and variables it we aim to classify flads based on production of pike and perch. When the type of reproductive flad are known and modelled, the data can be extended to flads that have not been surveyed for larval fish (read more about GIS) and the models can be made for areas that lack survey material. This kind of information can then be utilized for restoration of fish reproduction areas, land use planning and tending of flads. If the most important reproduction areas and their functionality are looked after, there will be possibility to maintain sustainable coastal fishery also in future.